May I start by apologising for the lack of updates on this blog over recent weeks. Having pestered readers with views on tedious managerial changes and politics in football, outside commitments have meant this blog has been neglected at the most important stage of the season. But now that the season has ended with Crystal Palace’s impressive win against Watford, the time has come to look back over the biggest games in English football; the Football League Play-Offs. They are the showpiece events of the Football League calendar, they are the most important games in any club’s season and they provide some of the greatest and darkest days of a fan’s life. The Match: Bradford’s hammering of Northampton will go down in history as one of the easiest play-off final victories in history. Goals from Hanson, McArdle and Wells meant the Bantams had effectively won the game by the 30-minute mark. Bradford could have scored six or seven but they decided to take their foot off the pedal. This ensured a terribly dull last 60 minutes for us neutrals. Bradford thoroughly deserved their promotion. They had sacrificed a possible automatic promotion by putting huge emphasis on their League Cup campaign, and battled hard to reach the play-off final. Phil Parkinson got his tactics spot-on, instructing his players to pass the ball quickly, use the wings and constantly test the Northampton back four. They overran the Cobblers in midfield, stretched the defence and loaded the box with attackers, meaning Northampton couldn’t cope with crosses. Northampton were desperately poor on the day. Having reached the top seven through tough defending and great organisation, Northampton were disorganised, open and incredibly careless. Most disappointingly they lacked energy and didn’t seem to be as enthusiastic as Bradford. Aidy Boothroyd was severely punished for their negativity and for the baffling decision to leave Adebayo Akinfenwa on the bench. One particularly limp shot on target sums up Northampton’s miserable afternoon. Bradford in League 1? There’s no reason why Bradford can’t excel in the third tier. They have had a miserable time of things since Premier League relegation in 2001, facing relegation after relegation as well as crippling financial problems. But this season has shown the potential of Bradford City. They play good, attacking football and have a very balanced side. There will be a tremendous feel-good factor around the club throughout the summer, and with the coffers looking healthier than they’ve looked in years, Parkinson should have some money to spend over the coming months. Bradford should not just aim to stay up, but stay up safely. What do Northampton do next? 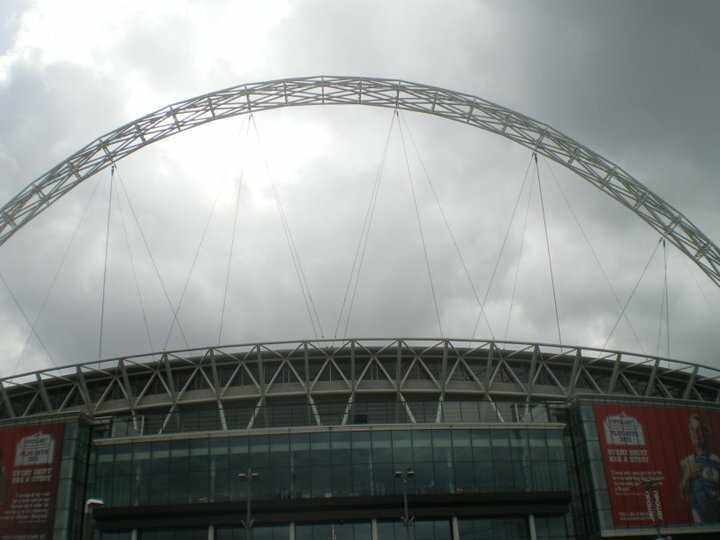 The play-off final highlighted Northampton’s deficiencies. They were too negative to go up this season and couldn’t vary their style of play when the long-ball option failed, as it did against Bradford. The squad needs freshening and strengthening, and Aidy Boothroyd’s decision not to offer top-scorer and Europe’s heaviest footballer, Adebayo Akinfenwa, a new contract shows there may be a desire to acquire more mobile forwards. But replacing Akinfenwa’s goals and his personality could be very difficult. Match: This was undoubtedly the most entertaining play-off final, and both teams deserve heaps of credit for putting on a great show and representing League 1 well. Yeovil had the perfect start when Paddy Madden toe-poked the ball brilliantly into the top corner after six minutes. Brentford struggled to get going in the first half, and never troubled Stech in the Yeovil goal. Yeovil then doubled their lead when James Hayter’s header crossed the line before Shaleum Logan could hook it away. Brentford reacted superbly after the break and must have thought a comeback was on the cards when Harlee Dean placed his header beyond the reach of the Glovers’ goalie just six minutes into the second half. But despite a spirited and entertaining effort in the second half, a combination of poor luck, resilient defending and goal-keeping kept the Londoners out and Yeovil held on to clinch the unlikeliest of promotions and extend their fairy-tale story even further. It was harsh on Brentford, who have had a magnificent season and were still reeling from the final day drama against Doncaster. But Yeovil have been brilliant under Gary Johnson this season and have defied all the odds to go up. In truth this was a game neither side deserved to lose, but Brentford lacked the belief and the confidence which Yeovil had in abundance. Yeovil in the Championship? It doesn’t sound right somehow, does it? The smallest club in League 1, with the smallest budget have won promotion to the Championship! It also makes the Glovers the top team in the West Country for the first time in their history. Yeovil’s rise in recent years has been unbelievable, considering they only became a league club in 2003. The return of Gary Johnson has reinvigorated the Somerset club after some tough seasons, but can Yeovil really compete in the second tier? Financially of course they can’t compete with the giants of the Championship, but Johnson has always had a great eye for a bargain, as proved by the brilliant Paddy Madden. Yeovil will have the most unglamorous squad in the Championship but the great team spirit at Huish Park and the positivity created by their Wembley win will give them plenty of reasons to believe they can survive next year. What do Brentford do next? It’s the bitterest pill for Brentford to swallow after squandering the golden opportunity to get promoted on the final day of the season against Doncaster. Uwe Rösler has nurtured a talented squad who play excellent, attacking football, but the failure to clinch promotion will undoubtedly haunt them throughout the summer. There’s no reason why the Bees can’t go up next season, but first of all the German must put the last few weeks behind him and move on with a positive mindset. Some players may leave, but Rösler will still have a good squad, and expect them to be challenging for promotion once again next year. The match: It could hardly be called a classic but Crystal Palace fans will not care because for them it’s the perfect end to an extraordinary season. The Eagles began the season brilliantly but then shockingly lost their manager and club hero, Dougie Freedman, to Bolton. In came Ian Holloway and he had a tough time settling before masterminding his team’s victorious play-off campaign. Having out-thought Brighton in the semi-final, Palace out-fought Watford in the final. The dire first half produced few opportunities, and while neutrals got excited once or twice by Wilfried Zaha’s runs, the Manchester-bound youngster constantly failed to find an end product. In the second half Palace became more adventurous. They began to stretch the unimposing Watford back-line and create openings. Only Manuel Almunia, between the Hornets’ sticks, kept the final goalless, and forced extra time. Watford’s disappointing performance continued into the additional half hour, and just before half-time in extra-time, Marco Cassetti’s clumsy foul on Zaha gave veteran Kevin Phillips the chance from 12 yards to give Palace a priceless lead. He hammered the ball past Almunia. Neutrals hoped the goal would trigger a reaction from Watford but Zola’s men simply couldn’t raise their games and Crystal Palace held on to secure promotion back to the top-flight. One of the great characteristics of Palace’s successful campaign has been the way unglamorous individuals have stood out. Jedinak was a colossus at the heart of midfield and the two centre-backs, Delaney and Gabbiddon, who have not had particularly spectacular seasons, stepped up for the play-offs and kept clean-sheets in all three games. Palace in the Premier League? Crystal Palace hold the record for the most relegations from the Premier League, and they are already the bookies’ favourites for relegation next season (although this is common practice for the play-off winners). The task is made even more difficult by the fact Wilfried Zaha is leaving for Manchester United and top-scorer Glenn Murray is expected to be out until Christmas with a serious knee injury. Crystal Palace’s squad is small anyway, and includes many players who don’t look capable of playing at a higher level (Wilbraham, Garvan and Ramage are likely to struggle in the Premier League, although both Garvan and Ramage have signed contract extensions). But Ian Holloway has proved at Blackpool that he has a knack for getting the best out of squads and surprising Premier League sides. He needs to get Palace thinking the same way the Tangerines thought when they were promoted in 2010. It’s going to be tough for Palace, but the poor standard of this season’s Premier League should give them hope, and they need to approach the big league with a fearless attitude. What do Watford do next? Much of how Watford do next season depends on who they manage to retain. They will hold on to some of their borrowed players, but many will return to their parent clubs. Zola has done brilliantly to unite the current squad, but he may have to do the same thing again over the summer. Expect plenty of fresh faces at Vicarage Road, and they can help improve spirits after the Wembley ordeal. Watford never recovered from the disappointment of missing out on automatic promotion and they underperformed massively against Palace in the play-off final. Despite playing some beautiful football this season, Watford have also looked slightly unfocused from time to time. This entry was posted in Football, League 1, League 2, The Championship and tagged 1-0 Watford, 2-1 Northampton, 3-0, Adebayo Akinfenwa, Akinfenwa, Boothroyd, Bradford, Brentford, Crystal Palace, Gary Johnson, goal, gutted, Hansen, Hayter, Kevin Phillips, Manuel Almunia, McArdle, Mile Jedinak, Paddy Madden, play-offs, Premier League, promotion, Vydra, Wells, Yeovil on May 29, 2013 by gutollewelyn.